سواءً كنت مسافراً بغرض السياحة أو العمل, Accolade Lodge Motel هو خيار عظيم للإقامة خلال زيارتك روتوروا. يسهل الوصول إلى هذا الفندق ذو 3.5 نجوم من المطار، فهو يبعد عنه مسافة 8 km فقط. يوفر الفندق بفضل موقعة الجيد وصولاً سهلاً إلى أهم معالم المدينة.
. إن Accolade Lodge Motel حريص على توفير الراحة للنزلاء، فلا يوفر الموظفون جهداً في تقديم أفضل الخدمات وضمان حسن الاستقبال. إن واي فاي مجاني في جميع الغرف, مرافق مخصصة لذوي الاحتياجات الخاصة, تسجيل وصول/خروج سريع, تخزين الأمتعة, واي فاي في المناطق العامة هي جزء فقط من الخدمات التي تميز Accolade Lodge Motel عن باقي الفنادق في المدينة. تنعكس أجواء Accolade Lodge Motel في غرف الضيوف.تلفزيون بشاشة مسطحة, اتصال لاسلكي بالإنترنت, اتصال لاسلكي بشبكة الإنترنت (مجاني), غرف لغير المدخنين, تدفئة هي بعض الميزات الموجود في العديد من الغرف. يقدم الفندق مجموعة رائعة من الخدمات كمثل مسار جولف - ضمن 3 كم، لجعل إقامتك تجربة لا تنسى. يحظى فندق Accolade Lodge Motel بموقع ممتاز وخدمات يصعب منافستها. We stayed in the motel for three nights as we travelled to places from there. 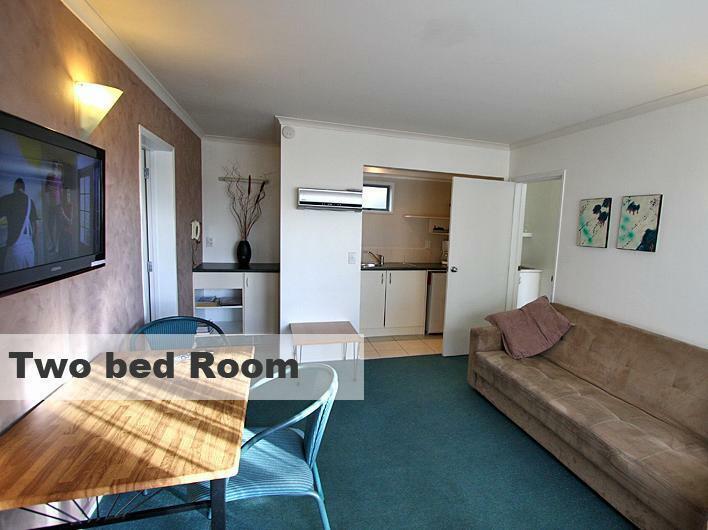 The room was clean and we have a bedroom and a lounge room with TV and mircowave. There was also an portable electric stove which I found was enough for us as Eat Street is very near. There is also a small shopping centre across the road with supermarket and shops. Staff was friendly, there was no heater in the room so they provided a portable heater which is warm enough for the bedroom. Breakfast was provided with two kinds of bread, three kinds of cereal and tin fruits and tea and coffee. I found that was quite good to start the day. But breakfast only serviced from 8 to 9 in the morning. Location is good and will stay again! Owners only available normal day hours so if you get there after 4 you may just have a note left as to which room you should find, breakfast pathetic and only available from 8am after most tours have already taken you from motel, asian owners have unfriendly personalities, they will charge your credit card without first asking. There are so many motels and hotels in this area! But if u are looking for a "4 star accomodation" with "3 star pricing" , this place is the one! Super clean, comfy, heater worked very well.. Very near to Te Puia and Polynesia Spa. The room was big and clean, good place to stay as the hotel is near different attractions like thermal walks, spas and parks. The bathroom is also large and there was a kitchen provided which is good for groups. 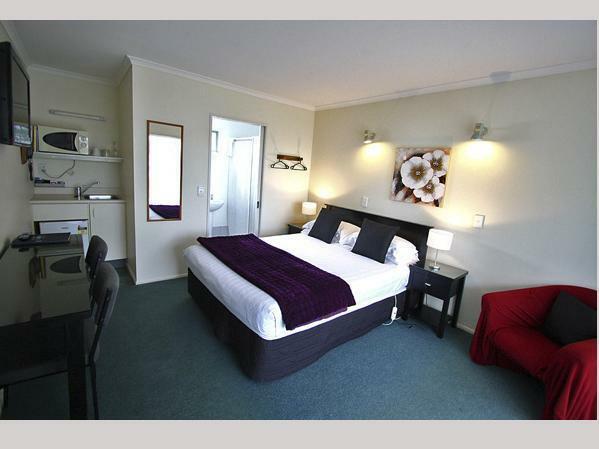 Bed was comfortable and clean and staff was very friendly and introduced us places to visit in rotorua. This hotel is value for money and i will visit again if i am around the area. There's some problem when I check in the hotel. I been told that the room that I requested is not available due to dupe booking. It's make me very angry cause I had paid for it. Anyhow, the receptionist is trying the best to solve it. End up, I have been upgraded to another type of room without any extra charge and include breakfast for us. Although, it's only continental breakfast but I feel very satisfy of what they are trying to give me. Thank you for the hard working and friendly staff. Real gem in Rotorua. Location is 10 mins walk from town center but greatest thing was the service attitude of the owner. Very helpful and gave the greatest recommendations on activities and sightseeing spots. Good service, free breaky and wifi coupled with cosy rooms in a central location. What else can you ask for? the motel has a great location. 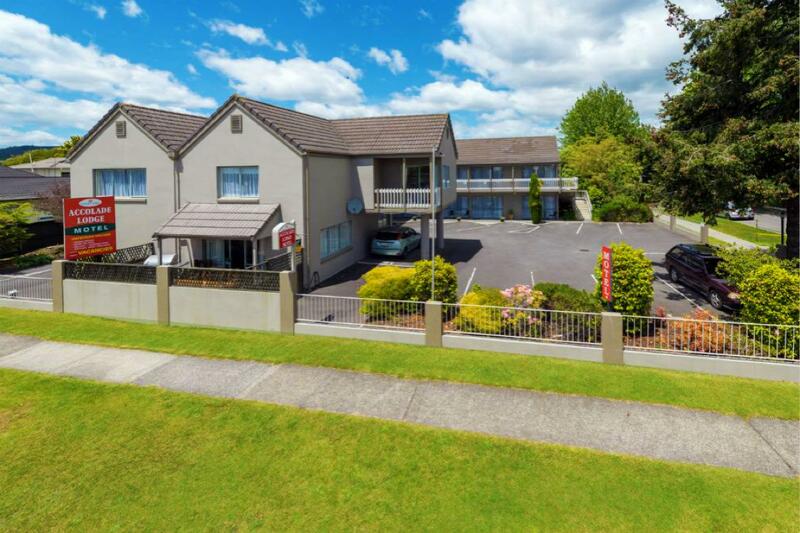 walking distance to bus stops, restaurants, supermarkets and bank. the staff was very friendly and helpful that made our trip to rotorua very enjoyable. although the rooms are a bit small, but it is clean and warm during the winter. the toilet is sparkling clean. overall, a great place to stay. The room is clean but the pillow is too soft to sleep. The heater is not working well, we still felt very cold at night. The kitchen only have microwave and the microwave is old and not function well. No provide pot and no gas stove in the kitchen. We can only use microwave to cook even is cook Maggie Mee only. 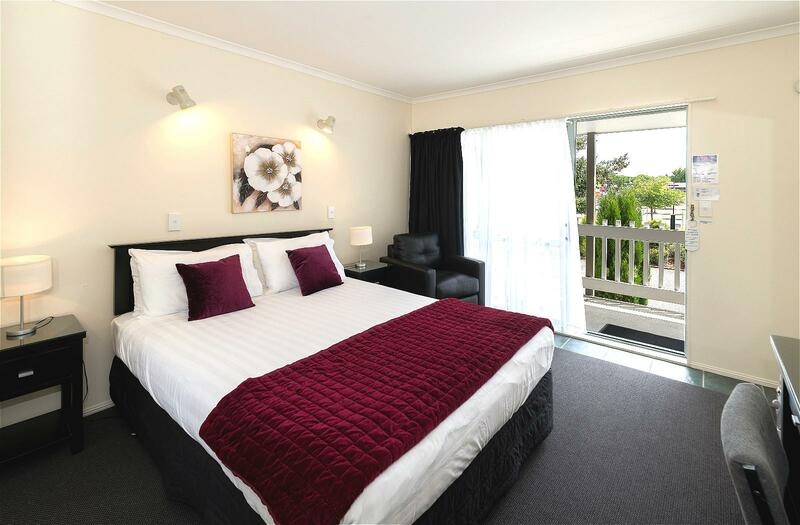 This motel is just located right opposite Countdown (walk-able within 5 minutes). The room was clean and bed was okay. Amenities were complete. The only minor thing I would want to look for improvement would be the lack of wardrobe/storage corner and size of the room was just basic. Overall, it was still a good experience staying in this motel. Overall stay ok because near to countdown and good location but it is time to do some refurbishment on the room as it is a bit run down . 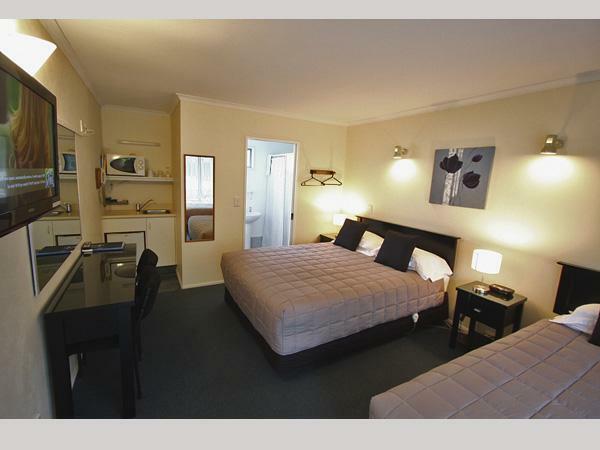 Nice rooms, well equipped, close to town, good hosts and free continental brekkie!! We stayed at the Queen Studio for 3 nights. The room was just nice for the 2 of us. Location was central and convenient, close to restaurants and grocery store. Diana at the front desk was extremely attentive and helpful. She even brought us an extra heater for the cold. Overall, we had a pleasant stay and would totally recommend! The staff is friendly. Introduced good places for me to sight seeing. The only thing that not satisfied is not air conditioner in the room so that we have to open the window all the time and a bit noisy. Well located motel next to mall and grocery store, as well as several restaurants, and walking distance to many more. The ever cheerful Diana was very friendly and helpful in giving information and making tour bookings. The continental breakfast was the usual, but the coffee was outstanding! Brewed in a drip pot, American style, which was what we had been missing. Not a fancy place, but I would recommend it.